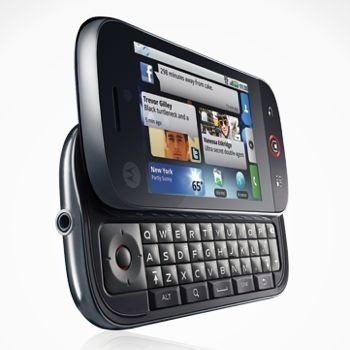 No surprise with the Droid and Droid X – the former is already receiving its update to Froyo, while the Droid X’s is on the way. T-Mobile’s Cliq and Cliq XT will be getting their Android 2.1 updates, which will likely be final, while AT&’s Backflip should receive the same update some time sooner. What’s disappointing is that the Devour will be stuck on Android 1.6, despite having a faster processor than the Backflip or Cliq/Cliq XT, which shows some indifference on Verizon’s part. Canada’s timeline is much less solid: the Milestone (GSM version of the Droid) will be updated to Froyo, but not until Q4, while updates for the rest of Moto’s Android offerings are basically up to the carriers. Even worse news for Europe: the Backflip and Dext won’t receive any more software updates, while the Milestone won’t be updated to Android 2.2 for a few more months. Good news here: Korea’s Milestone, MOTOROI, and Titanium will all be updated to Android 2.2, while the Quench, Milestone, Dext, and Backflip are all under consideration for updates to Android 2.1. Just like Europe’s timeline, lower-end phones will not see any more updates, while the Milestone is only under consideration to receive the same Android 2.2 update other versions of the phone have. All in all, these timelines don’t look so promising for MOTOBLUR-running phones, but it seems that carriers have a bigger stake in these updates than even the phone manufacturers do.